I was looking at last Saturday paper and thought what’s the big deal about Singtel HTC Dream. What so exclusive about this “beta” phone using Android OS? Who wants to pay $38 for this HTC Dream when the new HTC Magic (Android G2) has already been announced on HTC official website. It depends where you set the expectations! Try google for htc dream review or t-mobile g1 review(for the USA market) and you will see for yourself why you should wait for the HTC Magic. So much for the negative comments of the HTC Dream. Let’s take a sneek at the HTC Magic instead. Unfortunately, there is no HTC Magic review on the production unit yet. What we have here are units displayed at the Mobile World Congress in Barcelona. So one can’t help but to compare this new HTC Magic to the iPhone. And, this time round, HTC remembered to include video recording in the HTC Magic. Now, I can’t wait to get my hands on the new HTC Magic aka Android G2. Maybe, Singtel should have included free upgrade to HTC Magic for all those who have purchased the HTC Dream and I don’t think they have sold many! 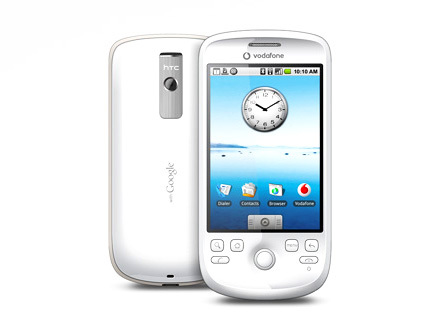 [Updated on 13 May 2009] I changed my mind on the HTC Magic, instead I will go for Samsung Android Phone – the Samsung i7500. The i7500 has a 8G memory, the 3.5mmm ear jack and other better specs; and I always wanted to get a Samsung. Singtelshop just came out HTC Magic its going for S$598 for the normal plan. Can’t expect too much off a first generation first model android phone right? Hi guys, all of you are acting like kids. And most likely, you are. Have you ever tried using the phone in person? Have you even owned it? Yes, it is not popular in Singapore.. But as a user of the phone, I find it quite good.. and interesting.. Maybe you should use the phone for a while before you condemn it. You can’t forward messages though.. only bad thing.. But it’s good if you want it for entertainment like videos.. clarity is there..
@harry I am really curious who buy the HTC Dream!? Maybe Singtel promises the upgrade, free or otherwise, to HTC Magic is just one way to get rid of their HTC Dream dead stock! heehe…. have you ever heard there’s any free upgrading things from Singtel?? Most likely, they will allow you to trade in your G1 with a very very ‘attractive’ price S$300.